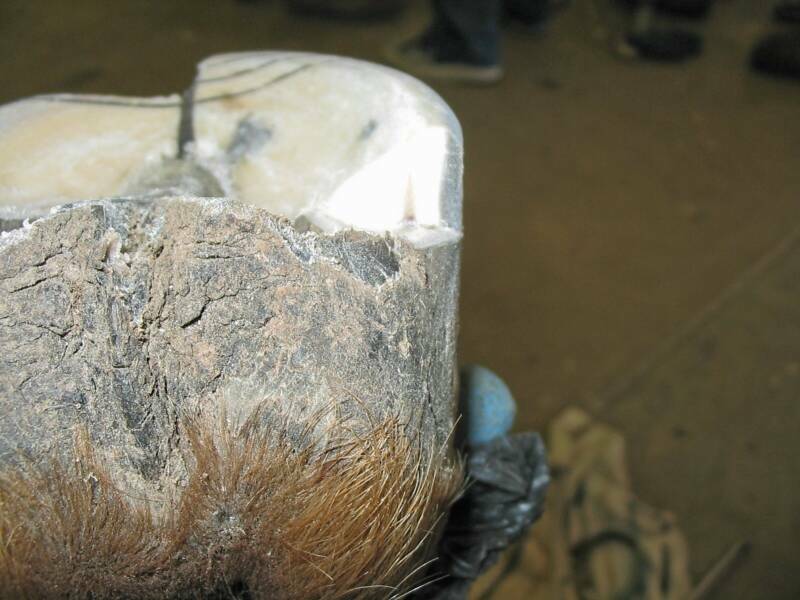 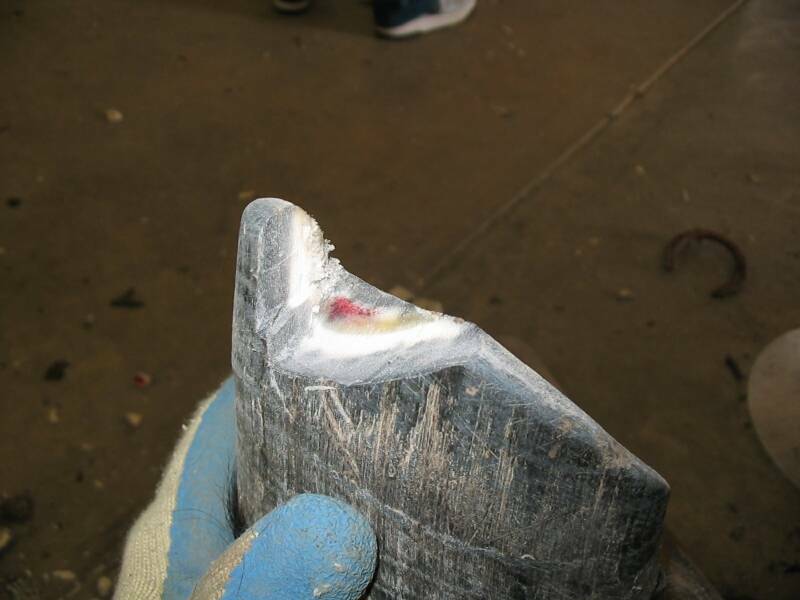 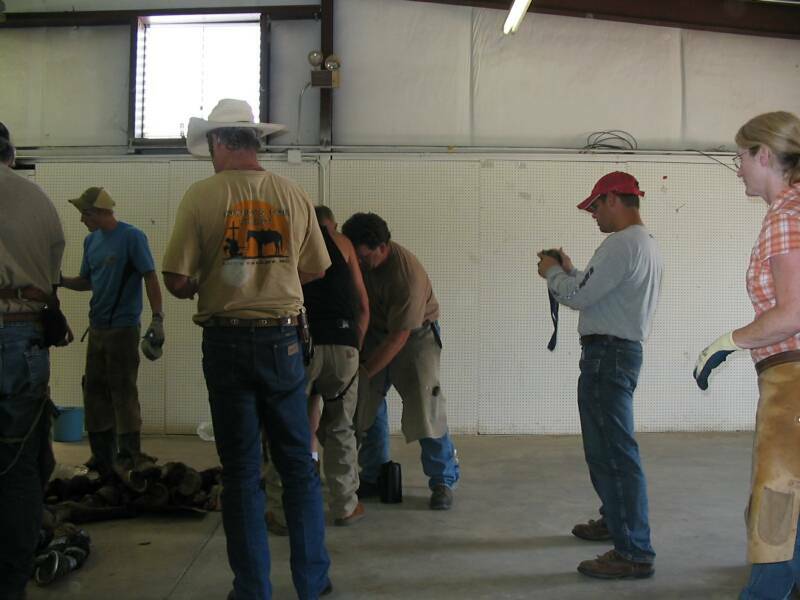 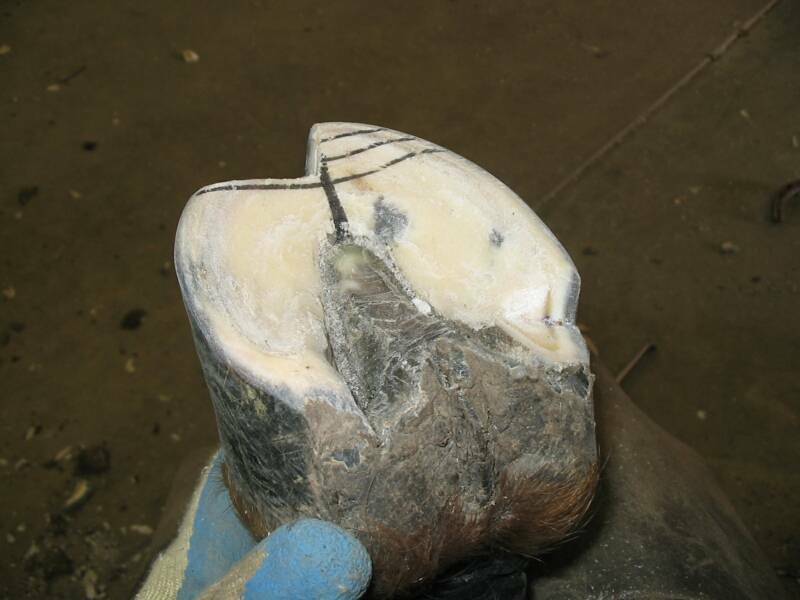 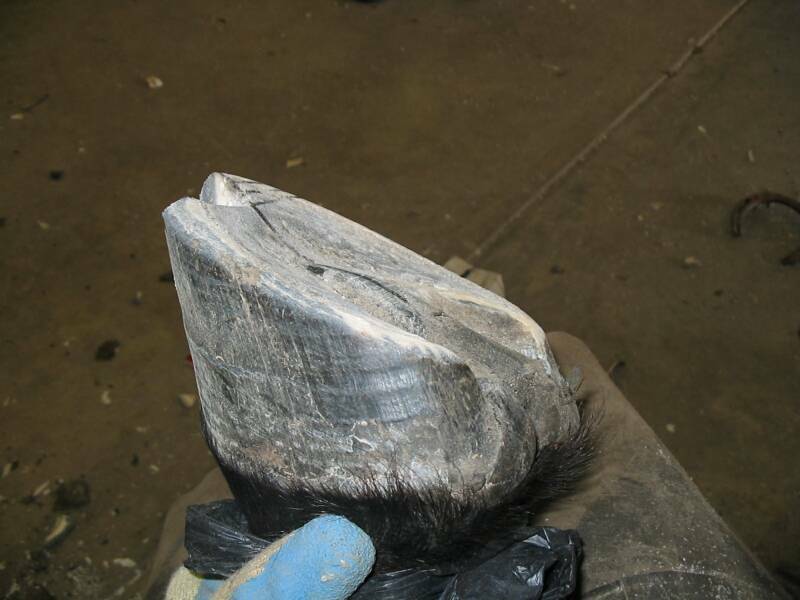 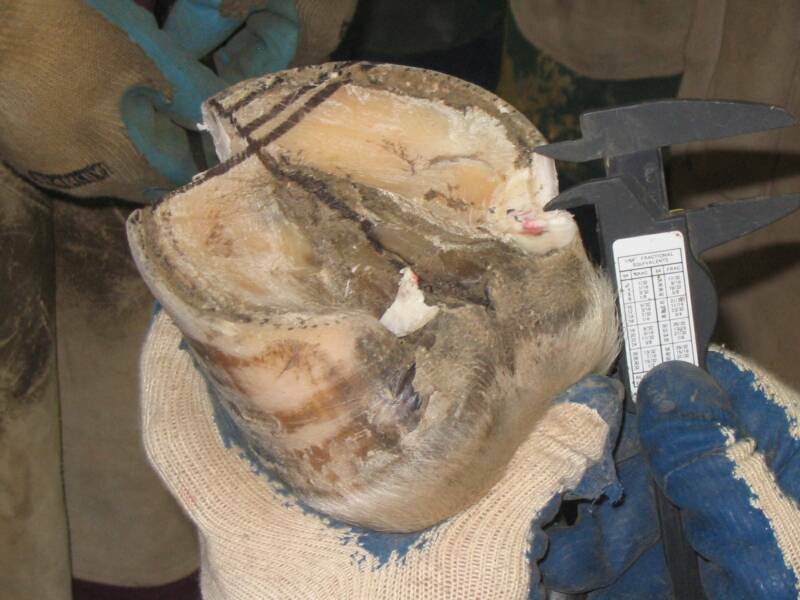 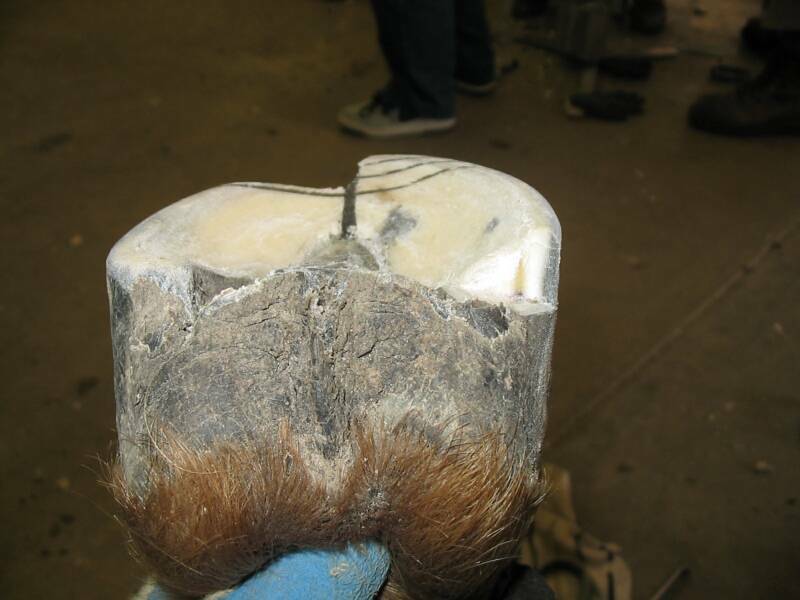 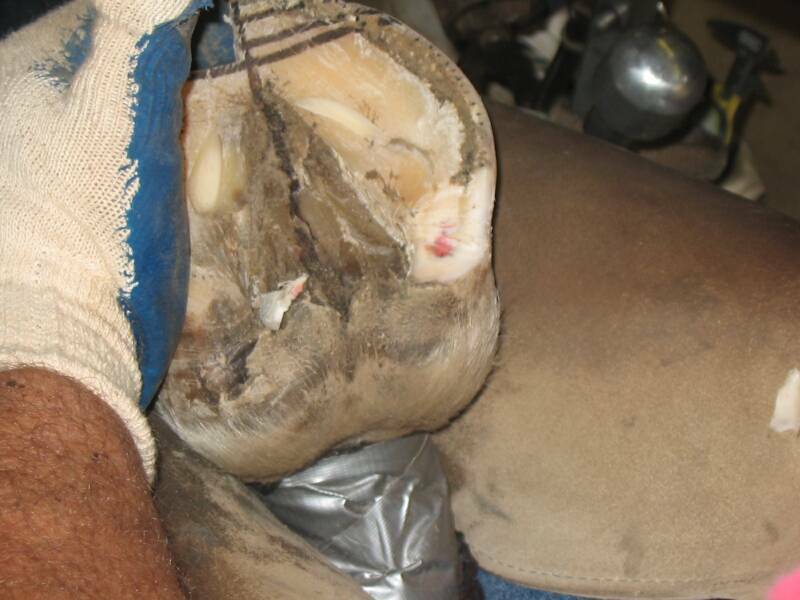 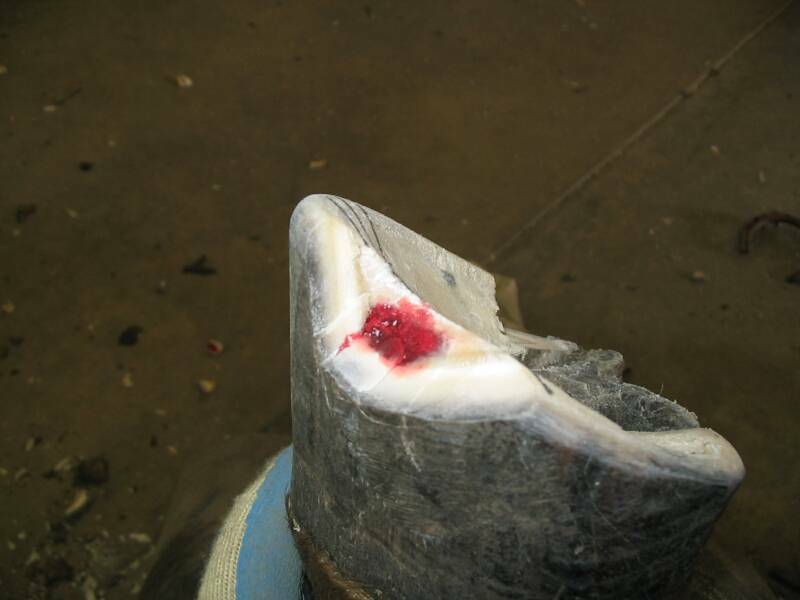 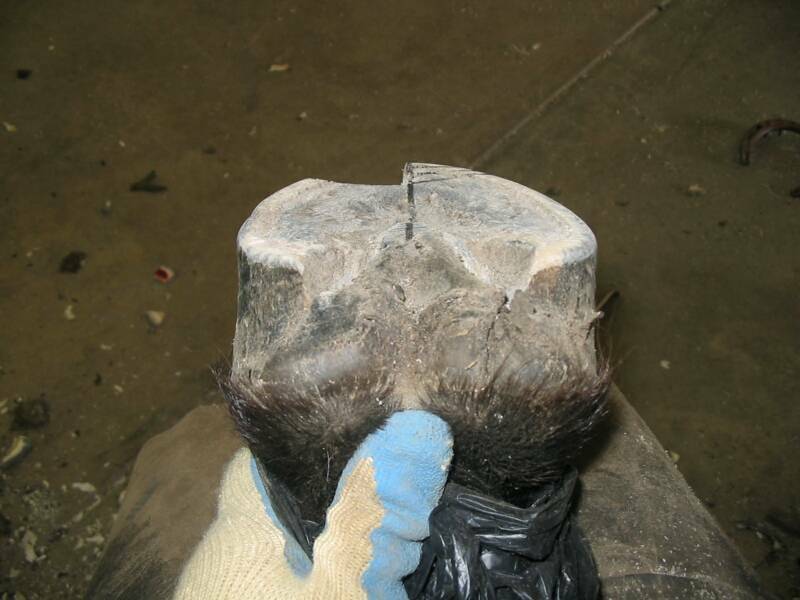 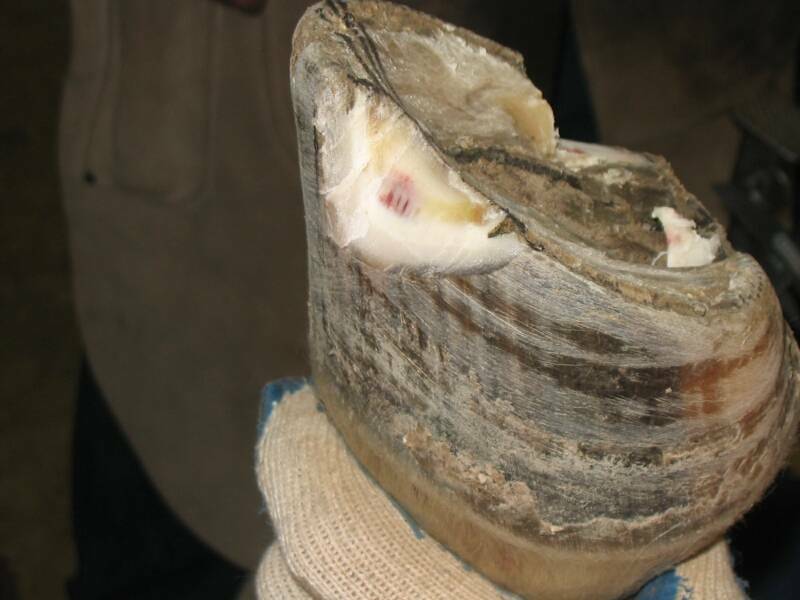 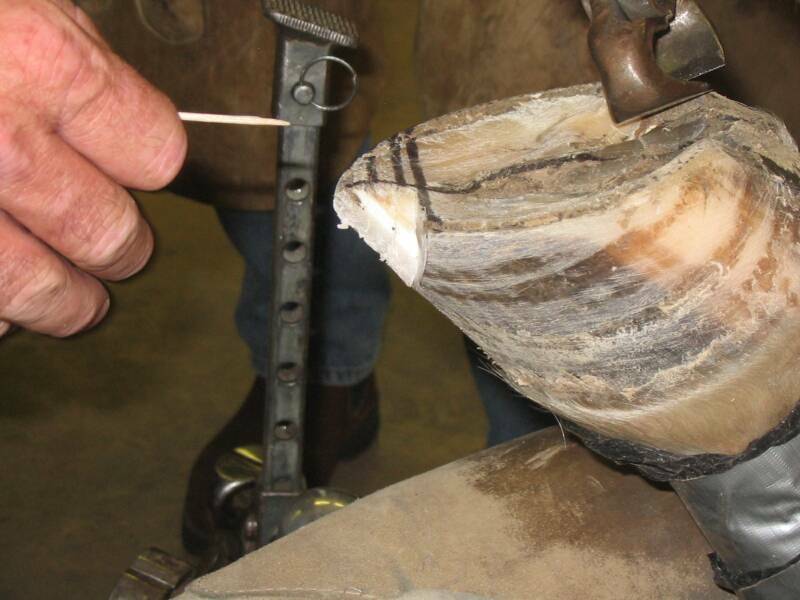 Notching the hoof and measuring sole thickness. 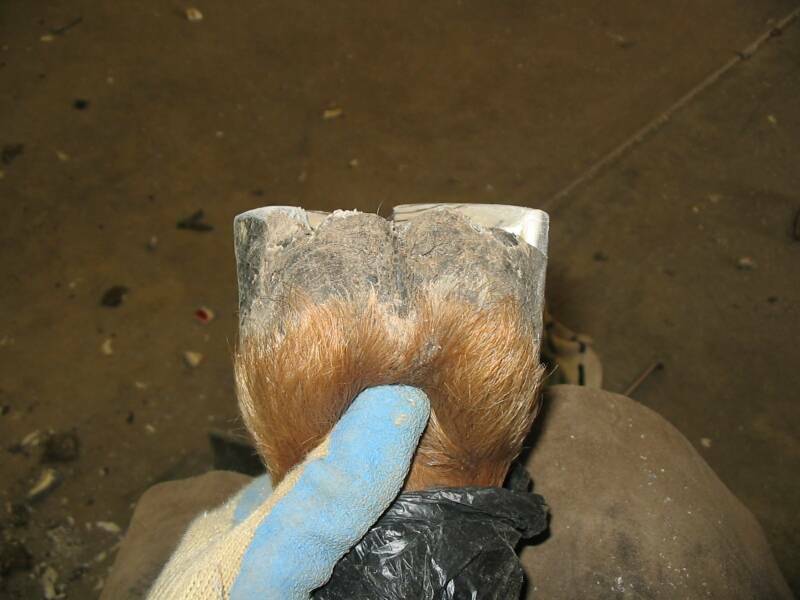 None of these horses would come up sore after a trim. 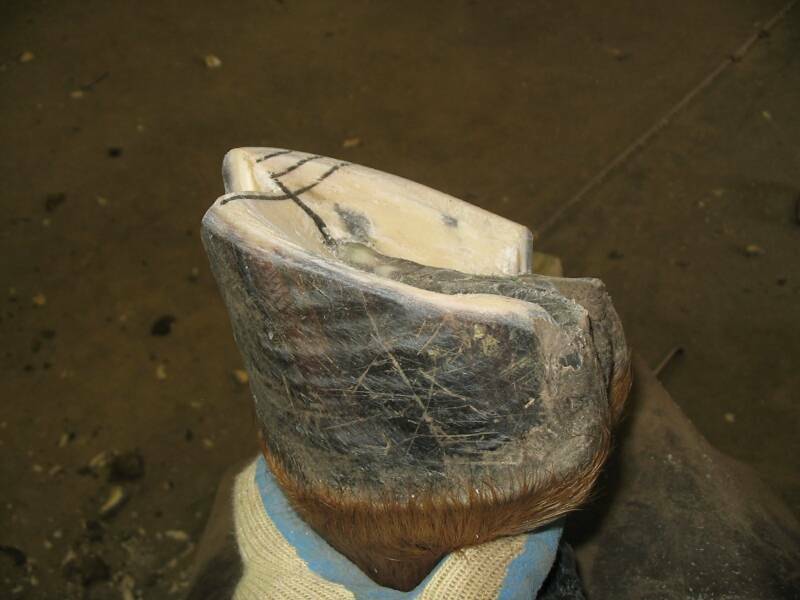 Plenty of sole thickness. 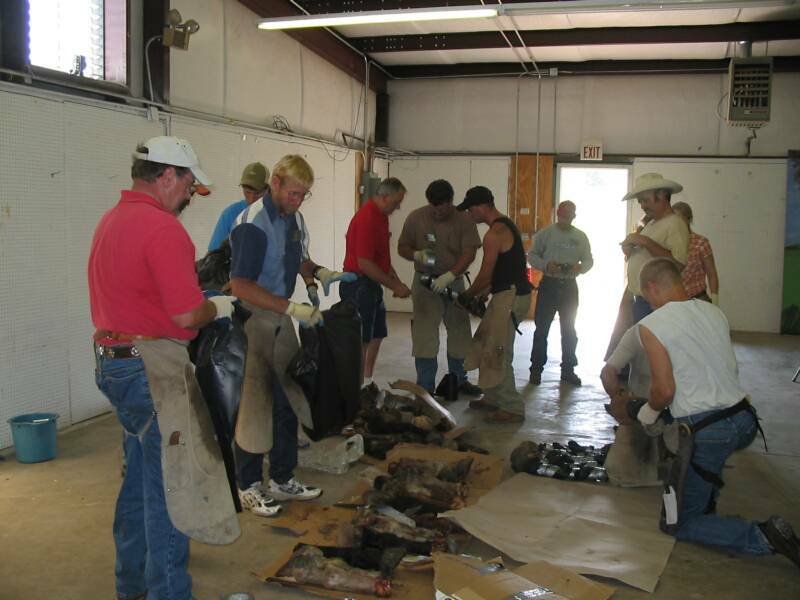 and Natural Trim Workshop Clinicians from all over the U.S. as well as the U.K. 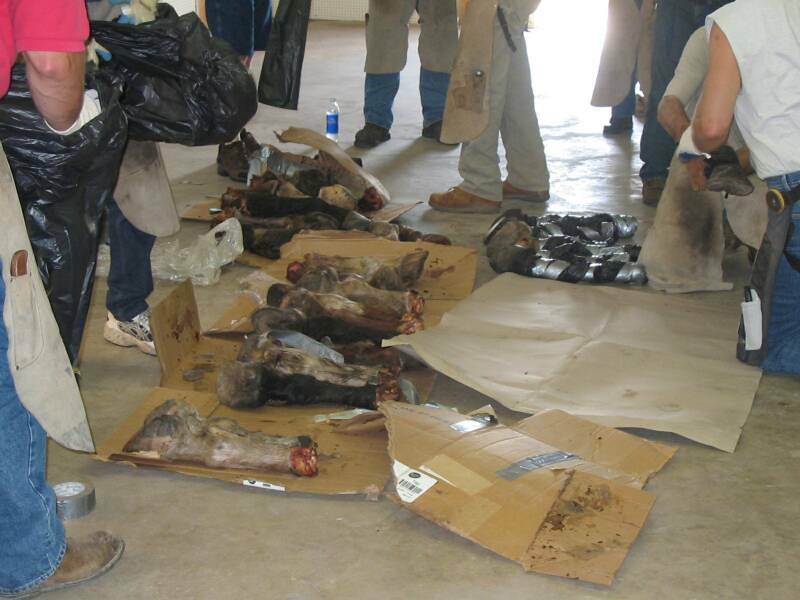 Photos of cadavers that I trimmed at the meeting. 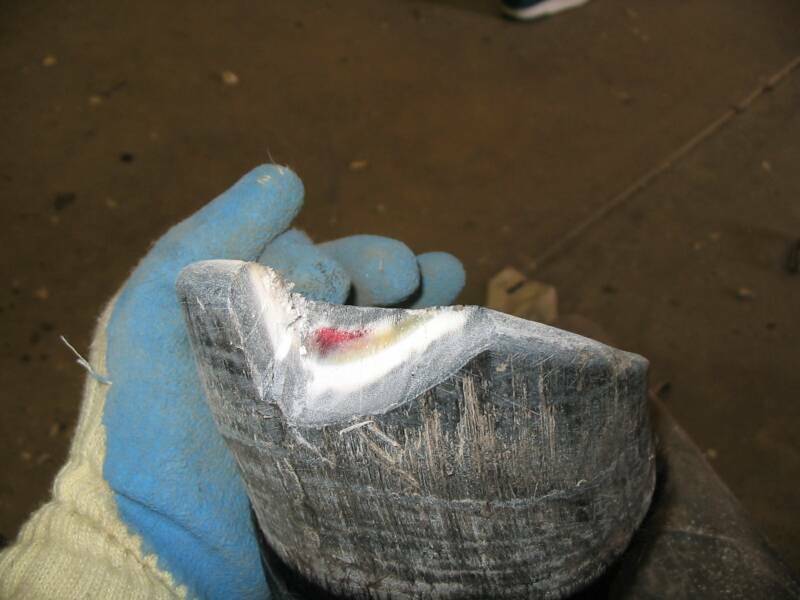 Notching to check sole thickness.